For most of us, email is the most common form of business communication so it's important to get it right. Although emails usually aren't as formal as letters, they still need to be professional to present a good image of you and your company. In this course you will learn how to write formal business emails and letters that are short, clear, and to the point. This course teaches you how to get results and build better relationships with clients, colleagues, and customers. Email is the communication tool of choice for most of us. Email's great because you don't have to be available at the same time as your conversation partner to communicate. There's one problem: most of us are drowning in emails. 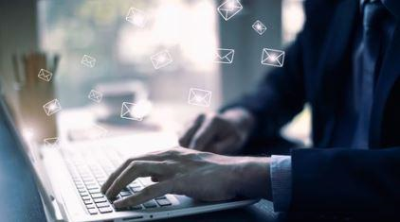 The average person using email for business receives and sends over 100 emails a day, according to a report published by the Radicati Group. On top of that, emails are all too easily misunderstood. A recent study by Sendmail found that 64% of people have sent or received an email that caused unintended anger or confusion. Because of the volume of emails we send and receive, and because emails are often misinterpreted, it's important to write emails clearly and concisely. In this course you will learn how to write clear, effective and professional business emails & letters.